ViaStrada began trading on 1 May 2007, after the merger of Streets in Sync and Traffix. Streets in Sync, established in August 2004, was involved in general municipal traffic engineering, specialising in the traffic engineering aspects of resource management. Traffix was started by Axel Wilke and Warren Lloyd on 28 November 2005 and specialised in planning and designing for pedestrians, cyclists and public transport. Traffix also had nationally-recognised expertise in traffic signals. Andrew Macbeth joined Traffix as a director in November 2006. In May 2007, ViaStrada had 10 technical staff, covering the areas of traffic engineering, transportation planning, and the traffic aspects of resource management. In September 2007, ViaStrada added town planning to its expertise. In November 2007, project management was added to the skill set. In January 2008, a CAD & civil design capability was added. The environmental health part of the RMA (e.g. noise assessments) became available. 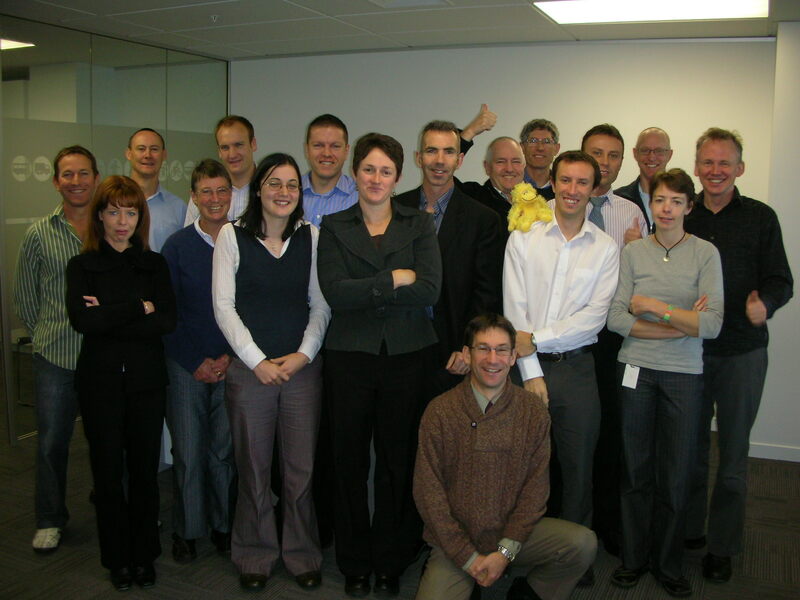 In May 2008, the Dunedin office was opened. With 20 staff, ViaStrada could handle most assignments in planning and transportation. In July 2008, Jeremy Phillips became a director of ViaStrada. 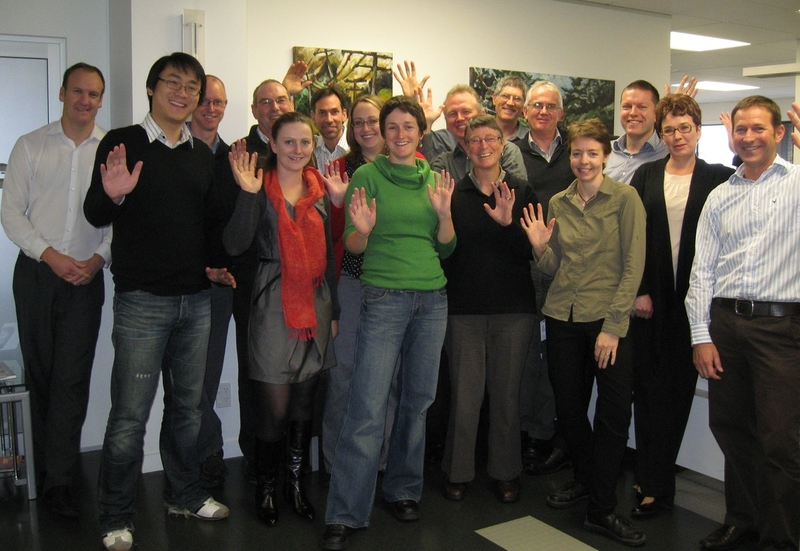 In October 2008, the Auckland office was opened. An important work stream that we started in late 2007 was our contribution to the Manual of Traffic Signs and Markings (MOTSAM); the client published the work in 2008 and 2009. In March, the Nelson office opened, led by Tony Quickfall. 2009 was quite different compared to 2008 in a depressed global economic climate. For a number of reasons, ViaStrada closed its Auckland and Dunedin offices in December 2009 but continued to serve clients across the country. With the economy picking up, there was a good forward workload again. Interesting projects came in, for example planning for State Highway Roads of National Significance (RoNS) and local network integration, and District Plan reviews. In April and May, Dr Glen Koorey joined us on a temporary basis, while on sabbatical from the University of Canterbury. In May, we celebrated our third birthday, with staff numbers at 19. The first edition of our Cycle Trail Design Guide, the manual supporting the New Zealand Cycle Trail, was published in February 2010. After our world was shaken up in late 2010 by the first Canterbury earthquake, we worked with Waimakariri District Council on a recovery plan for Kaiapoi. ViaStrada was badly affected by the major aftershock in February 2011. The Christchurch office was in the central city restricted zone (and the building subsequently demolished), so the team promptly relocated to a refitted residence in Bishop St just north of the central city. The dramatic change in everyday priorities in Christchurch significantly affected our business, requiring more focus on services offered to other centres. Following the earthquakes, we helped Christchurch City to put emergency transport measures in place and continued to work with Waimakariri District on plans for Kaiapoi. A major change to ViaStrada's structure came in April 2012 when the company split its traffic/transport business from its planning and resource management business. The latter formed Novo Group Ltd, with Jeremy Phillips and Rhys Chesterman as Directors, while ViaStrada, under Axel and Warren's leadership, continued to provide traffic/transport services. ViaStrada also found a new home on Kilmore St above Pomeroy's Pub. In September, the team moved into a new office space (their current one), still above Pomeroy's, in a refitted space just next door. 2013 provided a year of relative calmness - the first for a while - with no major changes (personnel- or location-wise) to ViaStrada. The team of five in the Christchurch office enjoyed a steady stream of work from around NZ, including a growing number of projects related to the Christchurch rebuild. ViaStrada-run training courses had their 10th birthday that year. In May, Jon Ashford was awarded his Master of Engineering in Transportation from the University of Canterbury. And in July, Megan returned to ViaStrada after living in France for a few years. In 2014, Axel was appointed a member of the Cycling Safety Panel; one of those rare career opportunities that one will look back on from one's retirement (Glen in his previous role at Canterbury University, was also on the panel). Quite a bit of change came to the country from the panel's final report. And our research on provisions for people cycling at roundabouts was published by Austroads. We commenced scheme development for protected cycleways along State Highway 1 through central Dunedin. We prepared a feasibility study for Palmerston North City that confirmed the viability of a path network to Linton and Massey supported by a new walking and cycling bridge. In November 2015, John Lieswyn returned to ViaStrada after working for our esteemed colleagues at ALTA in the United States for some years. A significant project this year was ViaStrada's transport concept contribution to the master plan adopted by Queenstown Airport. The good news continued in April 2016 with Glen Koorey joining ViaStrada, having been on the teaching staff at the University of Canterbury since 2004. The May 2016 issue of the ITE Journal ran a great feature on John Lieswyn. We developed much of the content for the Transport Agency's Cycling network guidance project alongside Abley Transportation and this was released for use by the industry in mid-2016. Megan won the IPENZ Transportation Group Study Award and spent a month in North America studying signalised intersections involving protected bike lanes. Three major projects that we delivered early this year were research on e-bikes and other low-powered vehicles, Guidelines for Pedestrian/Cycle Rail Crossings, and an investigation into road user rules for people walking and cycling. Three of our staff gained KiwiRail accreditation for the new Level Crossing Safety Impact Assessment. As a company, we joined Trafinz this year. One significant project this year was the development of school travel plans for Hastings District. We also completed a big investigation into road safety issues around the Dunedin central city schools cluster and recommended a range of traffic, speed and parking management treatments.